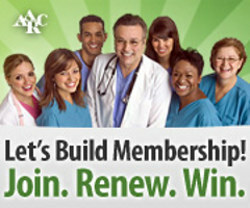 Join or Renew Your Membership with the AARC and SCSRC today! SCSRC membership is FREE for AARC members! Join or renew today, or download an application: AARC Secure Membership Application. If given the option please select South Carolina as your state affiliate or let us know by contacting membership@scsrc.org, particularly if you have an address outside of SC, you have recently moved, or you are registering as an associate member.